Danny Herrera is an overweight, 13-year-old misfit from San Francisco, California who lives with his lazy, bullying uncles. They decide to send Danny away to Fat Camp during his last summer before high school as a cruel punishment. 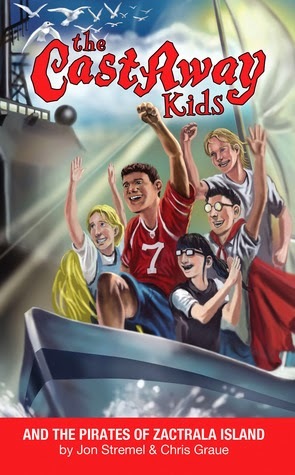 Instead, Danny gathers his group of unlikely friends and devises a plan to steal a boat and escape their horrible situation in order to have the perfect summer they feel they deserve. Rough seas, ruthless pirates, and a mysterious island turn Danny’s pleasure cruise into a dangerous quest for survival he and his friends will never forget. Will this be the last summer for the Castaway Kids? Or can Danny become a strong leader and prove to everyone he’s not a lost cause?